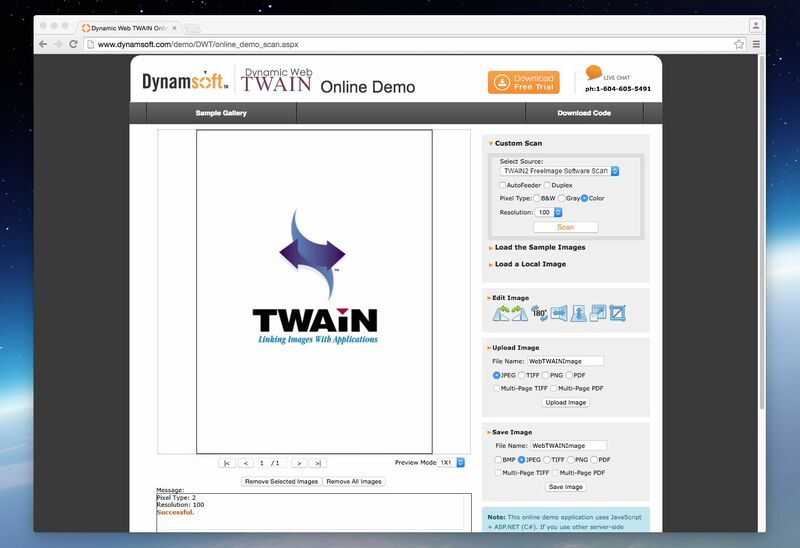 Dynamic Web TWAIN 11.0 with HTML5 Support for Mac and IE is Now Available! We are pleased to announce that Dynamic Web TWAIN 11.0, the web-based TWAIN scanning SDK, is now available! Many improvements have been introduced in this major update. Here we will introduce some highlights of the new version. This new version includes HTML5 TWAIN scanning support for Safari v7+, Chrome v27+ and Firefox v27+ on Mac OS X 10.6 or later. Although our old Mac Edition has served a lot of customers for document scanning purpose, its functioning has been greatly impacted by the phaseout of NPAPI (started in Chrome v42). That’s the reason why we bring HTML5 support to Mac OS in version 11.0. Upgrade to 11.0 now and worry no more for scanning on Mac OS. The 1D Barcode Reader Add-on of Dynamic Web TWAIN now supports all the popular 1D barcode types, including Code 39, Code 128, CodeBar, Code_93, EAN_8, EAN_13, Interleaved 2 of 5, UPC_A and UPC_E. Barcode is widely used in document imaging and it is one of the important areas we continuously try to improve. You can expect more barcode types supported in the near future. Stay tuned. For more details, please check the full change log>>. You can have a quick try with the latest online demo and see how the new version works. You can also download the 30-day free trial and embed it to your own application. If you have any questions or comments on the new version of Dynamic Web TWAIN, please leave a comment below. Dynamic Web TWAIN 11.1 Released! Dynamic Web TWAIN 11.2 Released!